Tokyo: The Japan Times, Ltd, 1967. Paperback. Sixth edition; 100p., scattered b&w illustrations, lyrics and notes in different fonts, transcriptions are also in Japanese characters and transliteration. Large softbound, 11.5x8 inch decorated wraps, in glossy dust jacket with ditto'd design. Book has small tears at head and tail of spine panel, otherwise general mild edgewear, while dj is in similar state but wear is a little more severe. A good to very good copy. 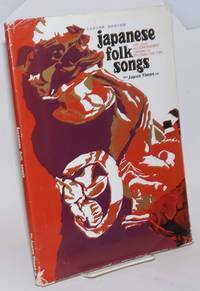 "38 melodies of representative Japanese Folk-songs with Western musical notation .. time-honored songs sung before 1900 - still sung today. Reykjavik: Leiftur hf. Lithoprent sf, 1978. Paperback. 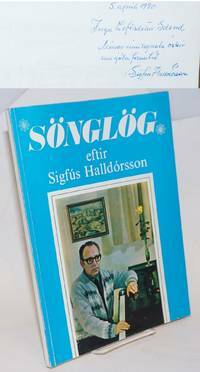 116p., sheet music, musical notation with lyrics in Icelandic (no translations), folio-size paperbound in 12x9 inch pictorial wraps. Item has a little edgewear and a top corner-tip stain, coffee probably, affects every leaf, the titlepage is inscribed and signed by Halldorsson in ballpoint pen. Aside from a couple pencilled check-marks on the terminal title-list, unmarked; a nice sound copy. Austin: Universtiy of Texas Press, 1995. xi, 226p., illustrated with period and contemporary photography, first edition red cloth boards titled black; bottom edge bears an inksticked remainder stroke, lacks the dj, a perfectly sound copy, completely clean and unmarked (except for remainder mark). Flagstaff: Northern Arizona Creative Printers, 1979. Pamphlet. 16p., professionally laid out and printed, softbound in 11x8.5 inch stapled decorated wraps. Front cover has a three-inch split at the tail that has caused textblock to escape its lower staple, expect crimping and abrasion along spinefold, cover also bears a sticker apparently placed to cancel incorrect info. Text per se is fastened soundly and is quite clean; a readable, handleable item. Dance contests are the main attraction, at least as far as the public and publicity are involved. San Francisco: the author, 1983. vii, 303, x, 13p., bound in generic plastic covers, very good. A thesis for a master's degree in social work. 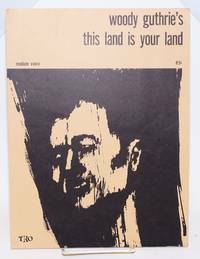 Includes translations of numerous political songs, analysis, bibliography and discography. New York: Crown Publishers, Inc, 1968. Hardcover. 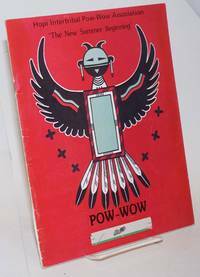 64p., musical notation and lyrics throughout on alkaline untoned paperstock, hardbound in 10x7 inch papered boards and dust jacket. Nice copy, firm, flat and square, top edge shows faintest fading, there's an ownership signature on the front free pastedown, the unclipped jacket is edgeworn but now enclosed in an archival-grade brodart to size. 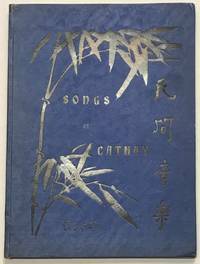 First edition of this bound collection, publisher Crown indicates that status by omission: only subsequent impressions are noted. FYI, a number of these compositions don't get much play nowadays, his mockery of folk music for instance, doesn't have much bite. All the spot-ons make up for the occasional blind spot. New York: Mrs. Mattie Haskins, n.d.. 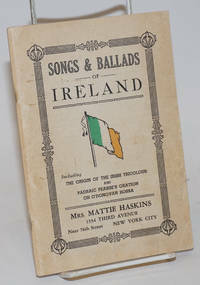 76p., staplebound booklet, small label of the Irish Music Store in NYC on inside of front cover; occasional checkmarks in the text, wraps mildly foxed and worn. 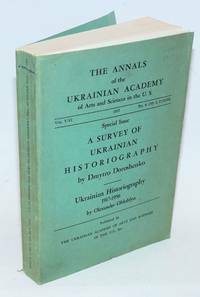 New York: The Ukrainian Academy of Arts and Sciences in the U.S., Inc, 1957. Paperback. 456p., softbound in journal wraps with a plain printed cover; a little edgeworn with mild handling wear, textblock bears a few faint pencillings, a previous owner has written author's name on spine, an otherwise clean sound copy. n.p. 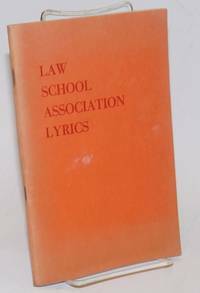 : [Association of American Law Schools], 1960. Pamphlet. 90p., pamphlet, neatly printed on coated paperstock and stapled into 8.5x5.5 inch orange wraps. 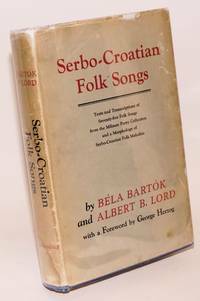 Extensive collection, the lyrics printed as poetry without musical notation, music cued by familiar song titles printed with the parody (it is usually a case of parody and lampoon). Both front and back covers are irregularly sunned, dust-soiled and lightly stained. Entirely clean within, and quite sound. Jocular stuff gotten up for the association's Christmas get-togethers. "Don't hit your professor with a shovel / It makes a bad impression on his mind" a lesser effort here. But others have some weight: "Ain't Gonna Need This Job" (to the tune of This Ole House) goes, "This old job is pretty lousy / This old job is full of grief, / And this measley little law school, / I will leave it with relief... Ain't gonna need this job no longer, / I'm a-gettin' ready to be a judge" --Tom Lehrer almost certainly an influence in this period. no city: TRO The Richmond Organization, no date. Sheet_music. 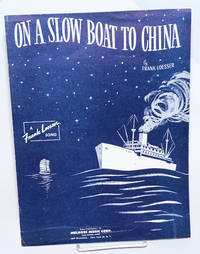 Sheet music, the standard 12x9 inch format, decorated with a cover illustration by John Trotta that he painted for Electra Records. A little edgeworn, quite sound, clean, and unmarked, a very good exemplar. Tro Essex Music group was founded in the 1940s. New York: Spencer Music Corp, 1950. Sheet_music. 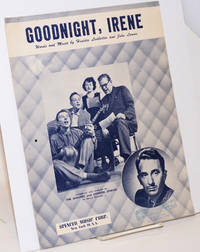 Single folio leaf printed and folded to make a standard sheet-music item, cover photo-portrait of the Weavers ensemble with an inset of Gordon Jenkins. Find an inconspicuous rubberstamp of Salt Lake City distributor, a small corner-crease, a dot of ink (printer's error) and faint toning. No marks, a good clean copy. Five stanzas are printed of this pretty song which point up how sentimental and unsentimental both; rather confusingly one stanza addresses an errant husband, others an errant wife, another suggests no marriage took place. Lies were told, and morphine figures in as a suicide method. 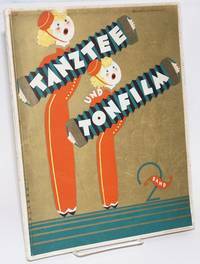 First copyrighted in 1936. Ledbetter's guitar got him out of a very nasty prison. 353p., sewn textblock in 7.5x5 inch buff wraps printed in two colors. 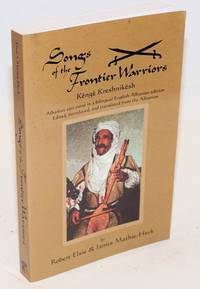 General mild edgewear with a half-inch bump and a tear at the head (affects first hundred pages), cover somewhat toned with a corner crease; entirely clean and sound within, a good copy. Wauconda, IL: Bolchazy-Carducci Publishers, 2004. Paperback. xviii + 414p., trade paperback, lightly worn wraps, else very good. Berlin/Amsterdam: Allein-Auslieferung: Musik.Verlag, 1932. Sheet_music. 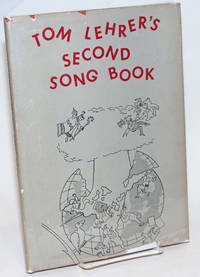 48p., softbound booklet with music notation and lyrics in German (two English/American songs with English pony), cover is bright while the guts, printed on a step up from newsprint, are toned. Edgewear, a good copy. One of the two English-language songs is "Mona Lisa," but the pony only distantly resembles Nat King Cole's memorable rendition. 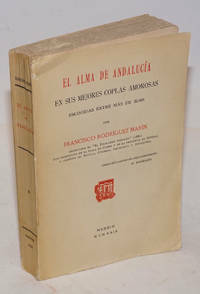 New York: Columbia University Press, 1951. xvii, 431p., hardcover, the internal hinges unfortunately reinforced with non-archival tape; a reading copy only. Edgeworn dustjacket. Harbin: Guanghua shudian, 1948. 285p., paperback, evenly toned, some creasing to covers, minor chipping to bottom of spine, otherwise very good. Roughly contemporary Hong Kong bookseller's price tag on the back cover. 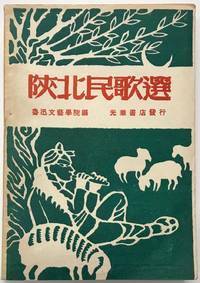 "People's songs" of northern Shaanxi (which included the Communist base region of Yan'an). Harbin: Guanghua shudian, 1948. 285p., paperback, evenly toned, very good. Roughly contemporary Hong Kong bookseller's price tag on the back cover. 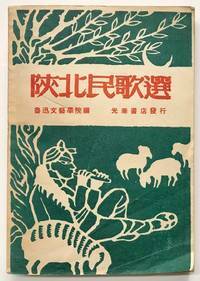 "People's songs" of northern Shaanxi (which included the Communist base region of Yan'an). Shanghai: Kwang Hsueh Publishing House, 1931. 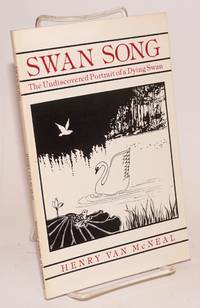 58p., slender hardcover, mild bumping to edges, fifth impression. Chinese and English lyrics with musical notation. 7.5x10.25 inches.